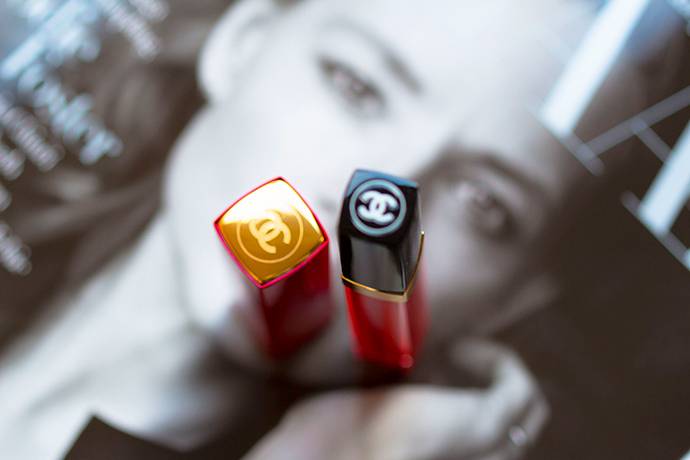 To honour Gabrielle Chanel’s love of red lips, Lucia Pica created four reds with a unique undertone for each woman and numbered them 1, 2, 3 and 4. #604 Scenario Le Vernis Neon Nail Colour, limited edition (€25,00). 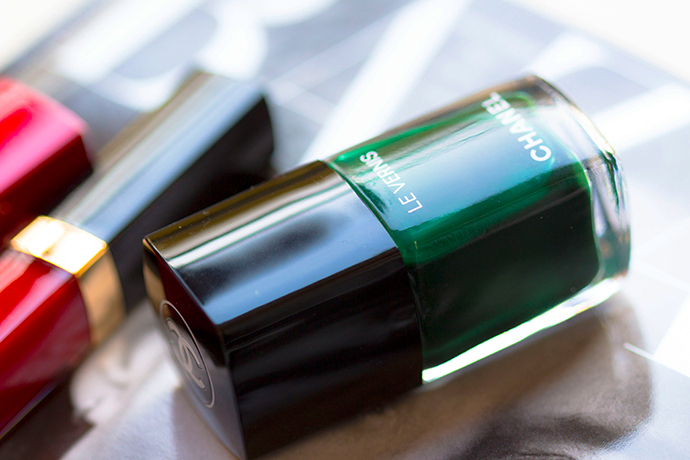 CHANEL #582 Fiction Le Vernis, limited edition (€25,00) | Deep pine green with a warm undertone in a crème-jelly hybrid. Good flow, although the formula does lean on the thick side. Coverage is quite good but needs 2 coats for full-on opacity. Comes to a natural glossy finish, however I always use Le Gel Coat. Non-staining upon removal with base coat (I use La Base). Staying Power: between 5-7 days. This beautiful viridian green is my favourite from this collection; it’s so versatile because it looks green with 1 coat and almost black with two. For those of you ladies who love nail art, here I’ve created a glamour manicure by applying #532 Canotier and some sparkle on-top of #582 Fiction. I think it’s quite stylish for the New Year’s Eve party. 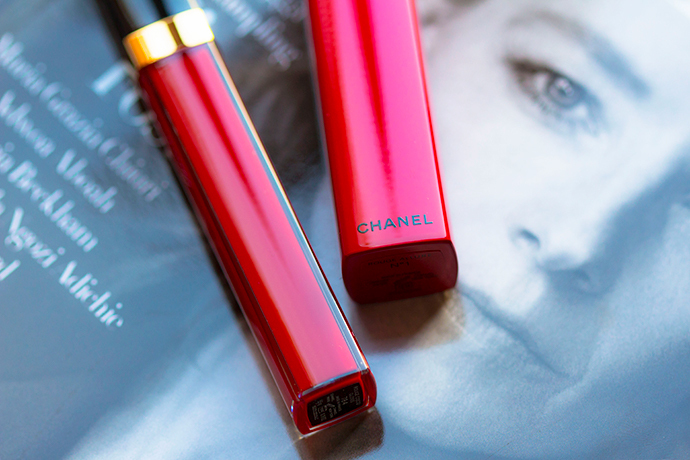 CHANEL N°1 Rouge Allure, limited edition (€36,00) | A true red with a blue-based undertone. 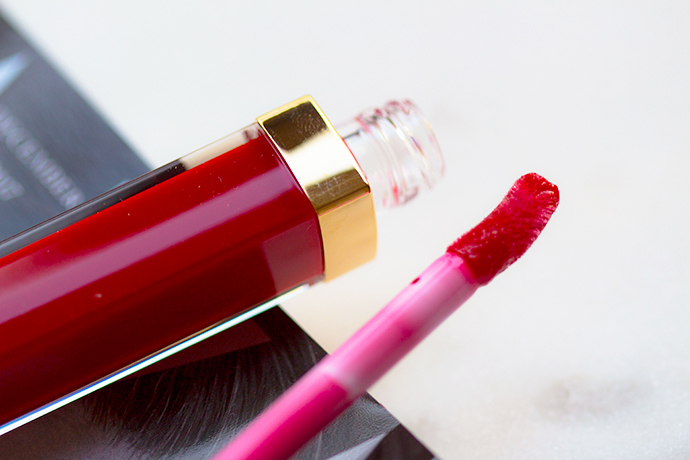 Staying power is fine, although as the formula is quite emollient the colour does fade away into a deep rose stain; for extended longevity I always apply liner all over the lips prior to application. 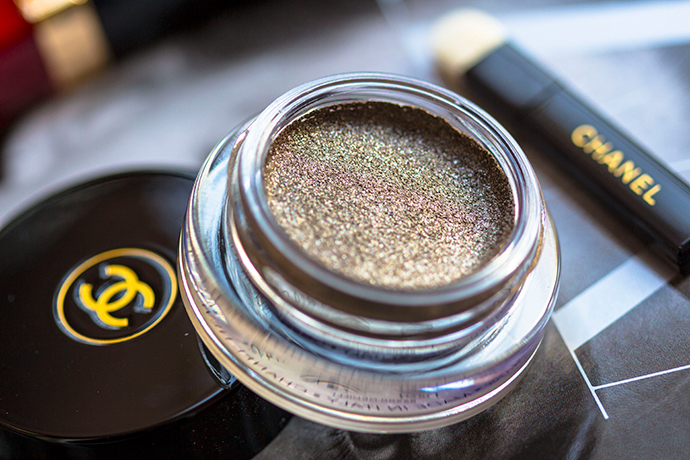 CHANEL #822 Silver Screen Ombre Première, limited edition (€34,00) | A pewter/gold/silver hybrid with olive nuances with a buttery smooth texture. Lays down without any patchiness and works equally well applied all over the lid as a wash of colour, or layered under powder eyeshadow for more depth of tone. Staying power is excellent, without displaying any creasing or flaking. 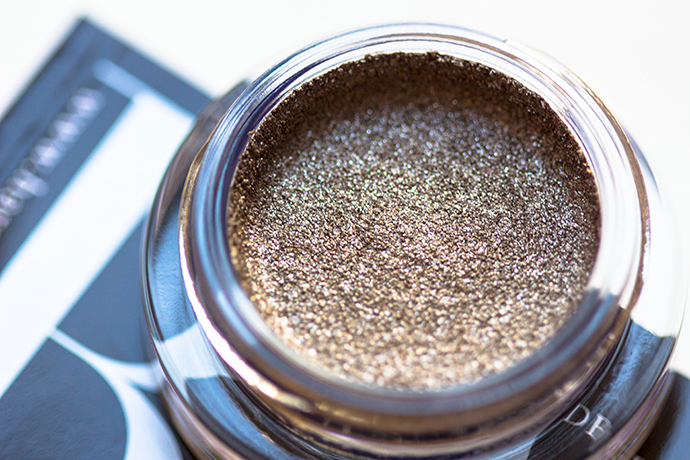 I recommend applying this shade with the finger and then blend it quickly with a good blending brush before it sets. 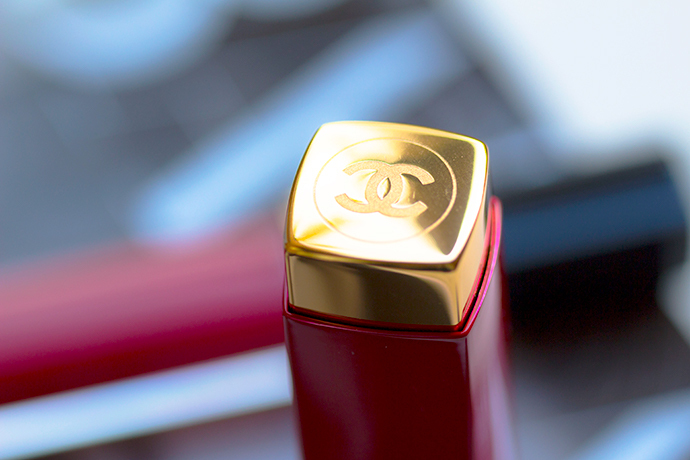 CHANEL #784 Romance Rouge Coco Gloss, limited edition (€30,00) | A medium red with neutral-to-cool undertones and a jelly-like finish. 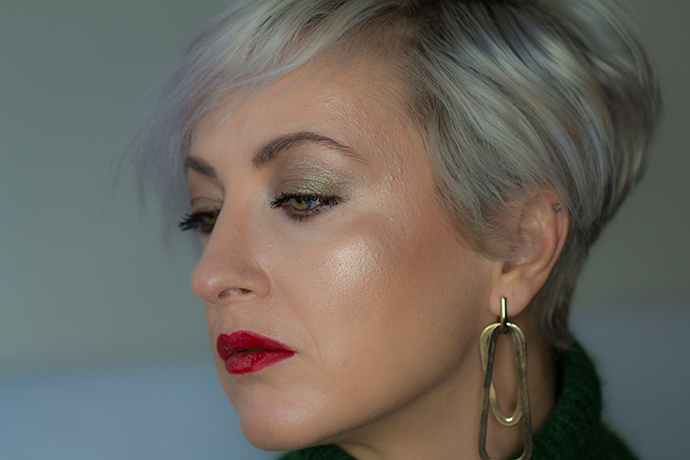 It works well on its own however I like to apply it on top of N°1 Rouge Allure just in the centre of the lips in order to make the lips appear fuller. I’ve also created two looks which, in my opinion, are perfect for the New Year’s Party. For both looks I’ve only used CHANEL products. I’m wearing #822 Silver Screen toped with #32 Bronze Antique Ombre Première on the lids and #932 Mat Taupe Stylo Yeux Waterproof in the waterline. On the lips I’m wearing N°1 Rouge Allure toped with #784 Romance Rouge Coco Gloss (in the center of the lips). 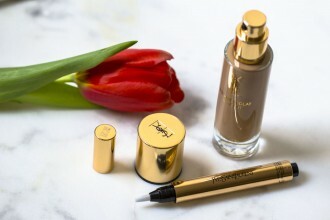 The second look is created on-top of the first one and it’s for those of you ladies who like a more glamorous makeup. On-top of #822 Silver Screen I’ve applied #812 Noir Pétrole Ombre Première; for the electric blue finish, I’ve applied #16 Blue Jean Ombre Première and #924 Fervent Blue Stylo Yeux Waterproof in the waterline. For the ombre lips I’ve used #109 Rouge Noir and N°1 Rouge Allure. I just adore Chanel. The best brand ever. I got a lippie this past December n it just beautiful. Adore ur selection here. Oh WOW, I love all these I want all of them and all your looks are stunning, need to get me a red lippie asap. Love your recommendation especially the nail color and nail art you created. This is such a lovely collection. I’m a big fan of all the colors. You look fantastic! I’m not a red lipstick wearer, it just looks horrible with my skin tone. 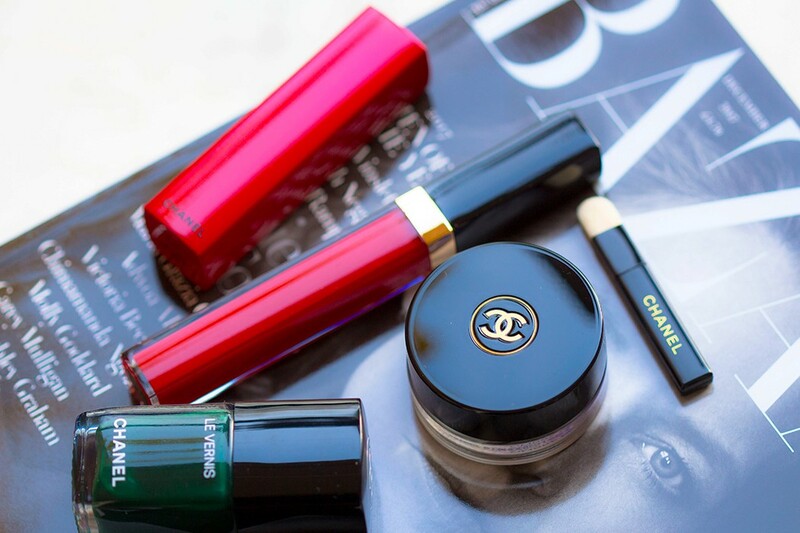 However, I’d love to try out the different shades that Chanel has. I may find one that works. Sounds like a great makeup collection! 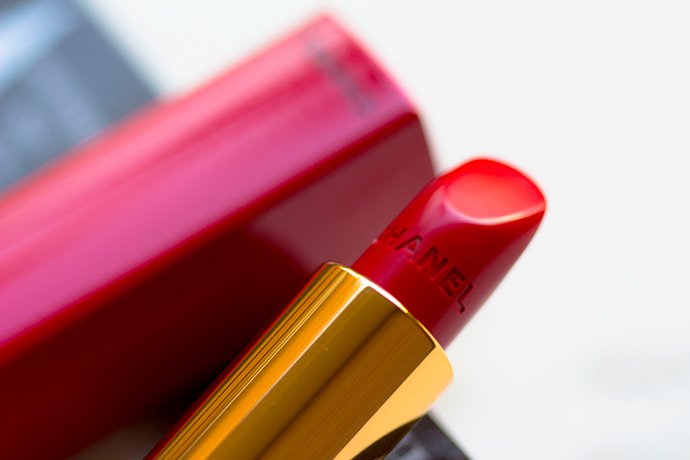 I’ve always loved Chanel such beautiful colors. For me, Red on the lips seems like such a bold style. You pull it off so well though! Great description of the range, supported by lovely vivid pictures. Chanel is one of my favorite brand when it comes to cosmetics and clothing. Price are reasonable considering the quality you will get. wow this is a beautiful collection! well anything chanel does right? but the lip shade is perfect on u and the pop of blue in your eyes! well done! Such beautiful, festive shades. I love the lip color as well. Perfect for the winter! Lol, I never saw it as supporting cast but this makes complete sense. I do have a couple red lipsticks and when I put it on that’s it. I like the second look. Those eyes are fantastic. Chanel is one of my fav brand! so classy and chic! i have a few nail polishes and I feel like adding this green one to my collection because it looks amazing! 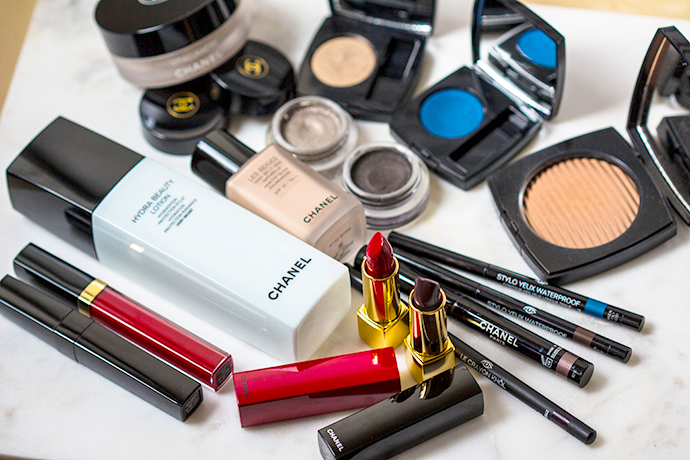 I love Chanel makeup…really, I love Chanel everything!!! I’m excited to try this collection; that red is perfection. Love your finished look! I used to wear red lipstick all the time, but once I had kids I toned it down and went with neutrals. I’ve been thinking about going back to the red. My kids will be shocked at first. 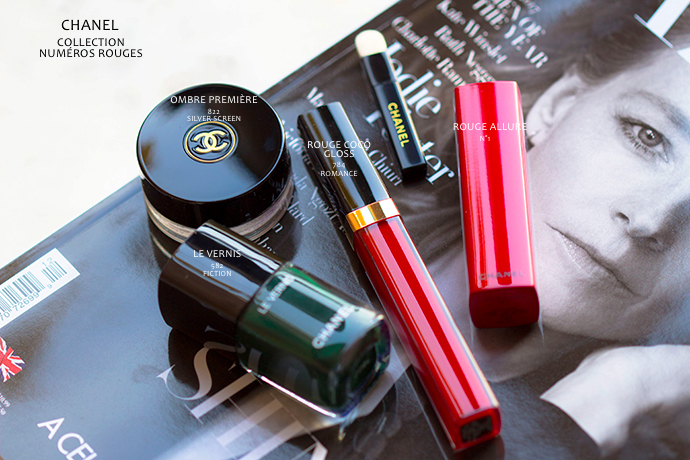 What an absolutely beautiful set of items from Chanel, that red lipstick is just absolutely beautiful. 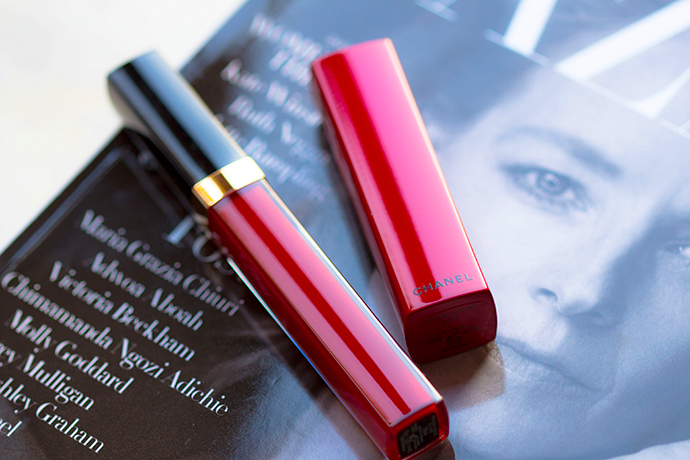 I think everyone needs the perfect red lipstick for them in their life. Those nail polishes and glittery eye shadows are so pretty! They’re a bit bold for me, but they look great on you. Maybe someday I will follow the fashion blogs more seriously. Just for the sake of all the ladies! oohhh, chanel a fancy brand, but worth it. I liked the nail polish, so colorful.Nice collection! 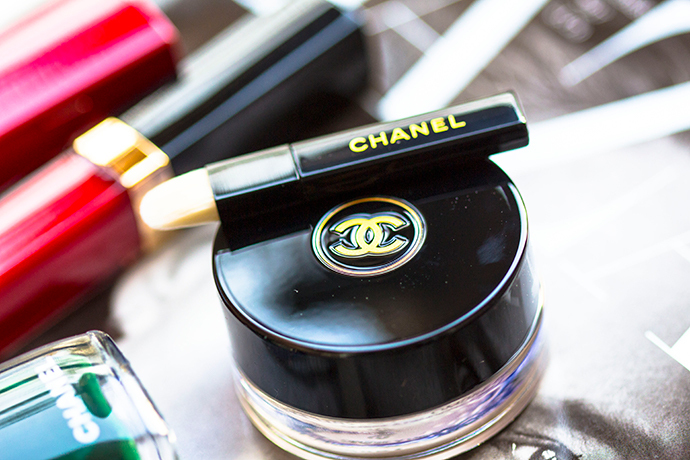 Well, Chanel is definitely very good makeup. Also, I love the design! I’m loving the highlighter and lip color. 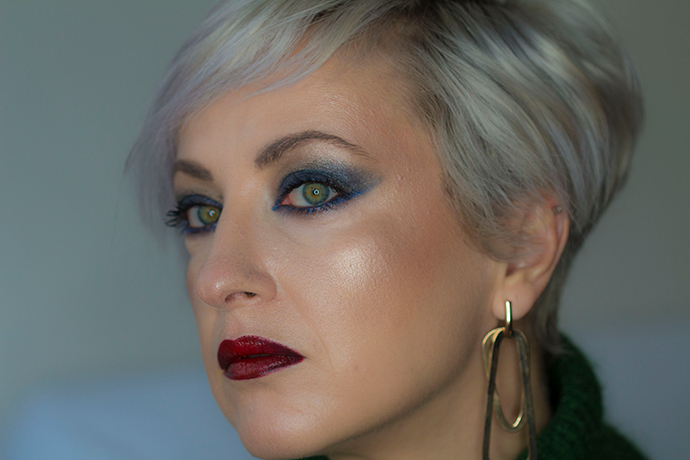 Very festive look for the holidays! wow!These are so fabulous!I like all these different looks when the colour of lipstick and eye shadows are different. I love everything about your post. The colors and shades are just so lovely. I love the nail polish as well. Your make-up suits well on you too.